The 2019 Harley-Davidson® 1200 Custom motorcycles are now for sale at Latus Motors Harley-Davidson®. As your Portland, Oregon motorcycle dealer, we are here to help riders of all levels to find a new or used Harley® they'll love. Drop by soon to enjoy our full range of 2019 Harley-Davidson® 1200 Custom models. The 2019 Harley-Davidson® 1200 Custom can take you through traffic, through the canyon, or through the weekend. Featuring a staggered exhaust with slash-cut mufflers, the 2019 Harley-Davidson® 1200 Custom gets you there in style and to the tune of a soul-satisfying rumble. The ride stance is created by a slammed suspension, 60.2-inch wheelbase, and lower seat. The Air-cooled, Evolution® engine delivers thrills and performance with every ride. The 1200 Custom is a personal statement. Tell the world who you are with this piece of kinetic art today. We hope you'll stop by our dealership near Portland, Oregon, today. When you arrive, our finance team can tell you more about the benefits of buying and leasing. Find your affordable Harley-Davidson® motorcycle loan today. The 2019 Harley-Davidson® 1200 Custom makes itself known with blacked-out details and a closed loop exhaust system. Harley® is thinking of the future with this performance exhaust system. It is designed to meet future emissions requirements while delivering heart-pounding performance today. Notable styling elements include a custom-styled paint job and black laced steel wheels. 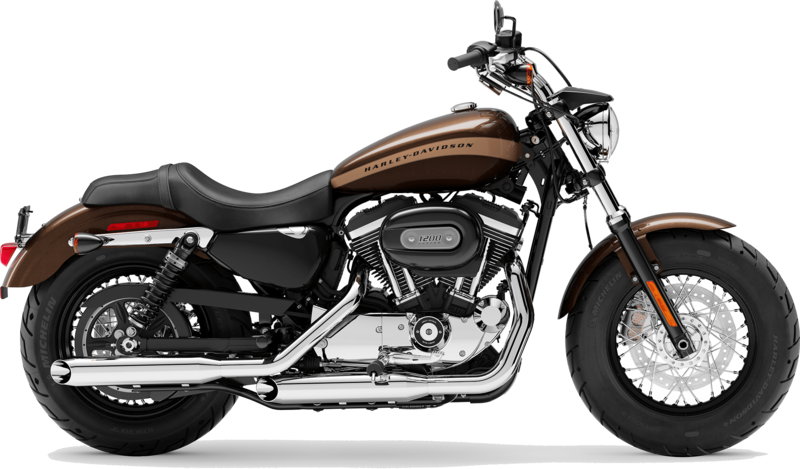 We invite fellow road warriors from Wilsonville, Oregon to Latus Motors Harley-Davidson® to meet the new 1200 Custom. See why the air-cooled evolution engine is the ideal riding companion. Climb into the saddle of a 2019 Harley-Davidson® 1200 Custom and chase the horizon.